2019 Grand Tour and Custom Packages on Sale Now! Score a hole in one with the gift of golf! Prefer to print the 2019 order form and mail it in? Other promotions give you discounts on the courses they want you to play, we give you discounts on the courses you want to play! Last year thousands of avid golfers played top-rated courses and saved a tremendous amount of money with the Wisconsin Classic Golf Tour. We negotiate with the courses on behalf of our membership to create incredible values. Now is the perfect time for you to add to the more than 125,000 rounds of golf our members played last year. 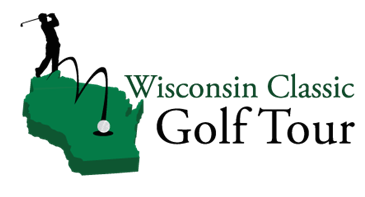 The Wisconsin Classic Golf Tour courses allow you to play multiple times at the discount offered (See Course Listing – Number of Plays). Some even offer unlimited play! Save all season long, playing your favorite courses! You can order a Wisconsin Grand Tour Package featuring all the courses in Wisconsin and Upper Michigan OR you can create your own discount package by selecting the courses that you really want to play – 6, 10 and 15 course packages available. Choose your package, choose your courses and get your own personal discount card mailed to you. It’s that easy! Courses designated as ARI (Advertised Rate Insurance): if they are running a special price that is lower than the discount on your Wisconsin Classic Golf Tour card, they will give you a $5.00 discount off the lower price — guaranteeing you the best price possible for that course. Notice: Your Wisconsin Classic Golf Tour card is not valid for league play, tournaments or special outings. Each person must have their own discount card to receive the discounted rate except on 2 for 1 offers where only one of the golfers needs a discount card. Learn more about our amazing member benefits here. I would like to thank you for such a wonderful program. I have referred many of my friends to your golf package and we use it quite faithfully. This was my 2nd year with our group using the Wisconsin Classic Golf Tour, and it has been a wonderful experience both years. We are already making plans and picking courses for next year. You have made it very easy and enjoyable. Thank you! My card has already paid for itself this year… what a deal!! Thanks!